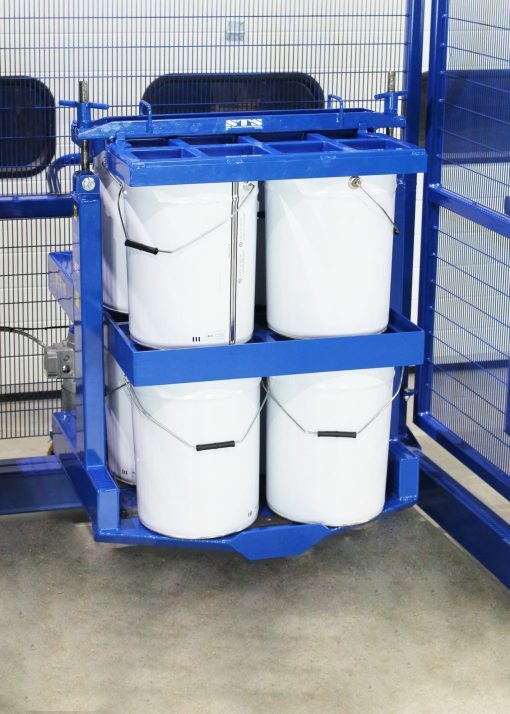 Based on our End-over-End Drum Mixer, this unit allows you to mix eight 25-litre paint drums at the same time. 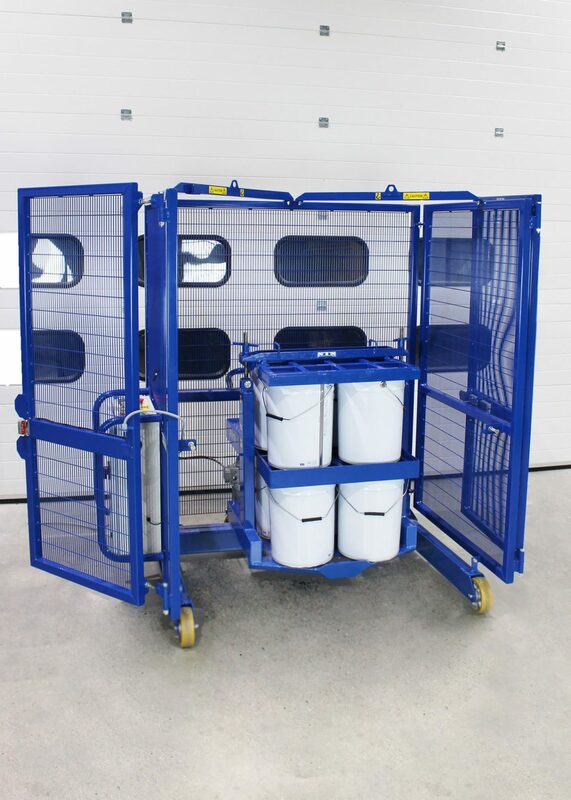 A large automotive manufacturer enquired about an eight-drum-mixing unit to mix paint before they used it in their manufacturing process. 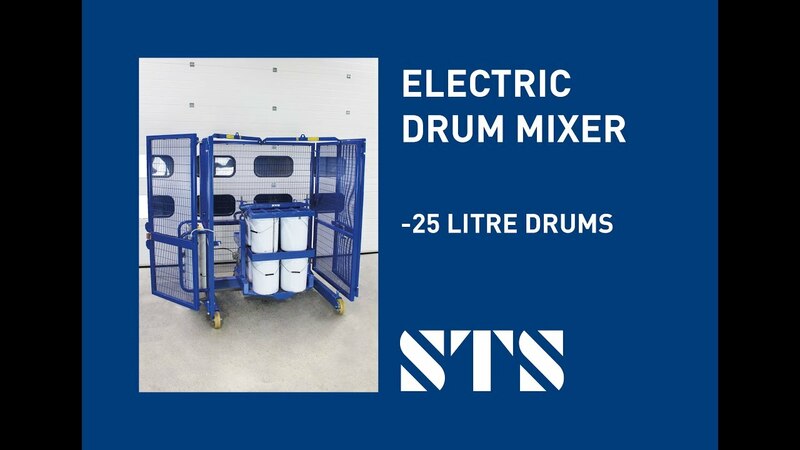 They had read about our DME01 Electric Drum Mixer and asked if we could modify it to accept eight drums at a time. 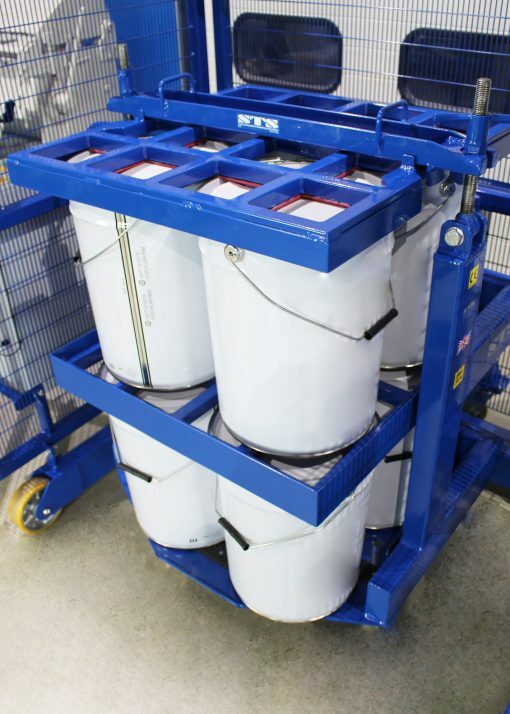 The customer wanted to mix 200- to 210-litre drums, as well as their 25-litre paint containers. Using the DME01 as a basis for the design, our team investigated different ways to clamp eight drums into a larger mixing head. We decided a double shelf arrangement was the best option and set about making this a reality. Using customer test vessels, we conducted production mixing trials to validate both the equipment and the eight-drum-mixing method.